What if Napoleon won the Battle of Waterloo? What if he defeated Russia in 1812? What if he escaped from exile on St. Helena? Napoleon in America is part of a long tradition of alternate history books about Napoleon Bonaparte. In fact, the first novel-length alternate history was about Napoleon. The Napoleonic era offers many opportunities for divergence from the historical timeline, and authors have let their imaginations roam. Here are some of the results. 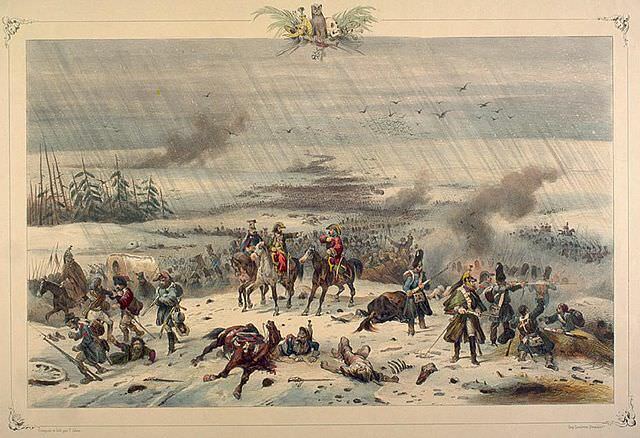 The retreat of Napoleon from Russia by Victor Adam. What if Napoleon had defeated the Russians? I am looking at books that focus on Napoleon, rather than books about other characters that are set in an altered Napoleonic scenario. The descriptions are brief, to avoid spoilers. Histoire de la Monarchie universelle: Napoléon et la conquête du monde (1812–1832) [History of the Universal Monarchy: Napoleon and the Conquest of the World (1812-1836)] by Louis-Napoléon Geoffroy-Château (1836, revised in 1841 as Napoléon Apocryphe) – What if Napoleon pursued and defeated the Russian army in 1812? Histoire de ce qui n’est pas arrivé [History of What Never Happened] by Joseph Méry (1854), a novella published in Les Nuits d’Orient: contes nocturnes. Translated by Brian Stapleford as The Tower of Destiny (2012) – What if Napoleon captured the citadel at Acre and pressed on with his quest to vanquish Britain by capturing India? It May Happen Yet: A Tale of Bonaparte’s Invasion of England by Lawrence Edmund (1899) – What if Napoleon invaded England in 1805? Victoire à Waterloo [Victory at Waterloo] by Robert Aron (1937) – What if Napoleon won the Battle of Waterloo? The Eagle Flies from England by Edward Atiyah (1960) – What if Charles and Letizia Bonaparte fled to Britain in 1769 and Napoleon was born a British subject? Chroniques du désespoir [Chronicles of Despair] by Roland C. Wagner (1991) – What if various small things happened differently, beginning in the 14th century, until, finally, Napoleon won at Waterloo? Napoleon’s Waterloo Campaign: An Alternate History (2 volumes) by Steven Marthinsen (2003) – What if Marshal Grouchy responded to the urging of his subordinate commanders and marched to the sound of the guns at Waterloo? La Victoire de la Grande Armée [The Victory of the Grand Army] by Valéry Giscard d’Estaing (2010) – What if Napoleon retreated from Moscow before winter and drew the Russian army into battle? Napoléon: L’Exil en Amérique [Napoleon: Exile in America] by Ginette Major (2 volumes, 2010, 2011) – What if Napoleon took refuge in the United States after his 1815 abdication? Napoléon – Résurrection by Martial and Nicolas Mutte (2013) – What if the facts of Napoleon’s death are not as they appear, and his remains are not buried in the Invalides? 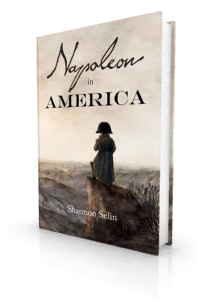 Napoleon in America by Shannon Selin (2014) – What if Napoleon escaped from St. Helena and wound up in the United States in 1821? A Set of Lies by Carolyn McCrae (2015) – What if the British Secret Service convinced Napoleon to work with them after his 1815 defeat, substituting a double for him on St. Helena? The Emperor of California by Scott Freheit (2015) – What if Napoleon escaped from St. Helena and wound up in California? The Dimenois by J.W. Clennett (2016) – What if France colonized Van Diemen’s Land (Tasmania) and Napoleon escaped there instead of dying on St. Helena? Napoleon Victorious: An Alternative History of the Battle of Waterloo by Peter Tsouras (2018) – What if Napoleon had won the Battle of Waterloo? If you search for Napoleon on Uchronia, you’ll find a list of Napoleon-related alternate history essays and short stories, as well as novels. Napoleon is a popular topic in online alternate/alternative history discussions. For example, see the Alternate History Discussion Board and check out the timelines on the Alternate History Wiki. A number of Napoleon alternate history scenarios have appeared on YouTube. See also my posts: “What if Napoleon won the Battle of Waterloo?” and Alternate History by Napoleon (regarding his own alternate history speculations). If you like alternate history in movies, the 2001 film “The Emperor’s New Clothes” was based on Simon Leys’ novel (above). The 2003 film “Monsieur N” suggests that Napoleon escaped from St. Helena to the United States. You might also want to read “Liberty, Tyranny, Empire and Republic: Napoleonic Alternate History” by Tyler Bugg on Alternate History Weekly Update. co-founder and moderator of the Ligue Bonapartiste, Fellow of the International Napoleonic Society. Thank you, Bert. Yes, one can spend hours getting caught up in all the “what if’s”…. Wonderful post! Thank you for compiling this list. 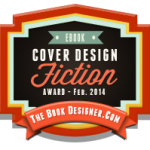 Very excited to get these books. Thanks, Glenn. I’m glad it was helpful. I would like to know how to buy the “Napoleon in America” book? Is this available in Fully booked? Thanks for your interest in Napoleon in America, Paulo. Fully Booked or any other bookstore should be able to order it for you if you give them the title, author and ISBN (978-0-9921275-0-3). Otherwise, it’s available from Amazon and Barnes & Noble in paperback, hardcover and ebook formats, or (in ebook only) from iTunes, Kobo and Scribd. I have written the history of Napoleon Bonaparte from 1812 to 1832, from Moscow in flames to his universal monarchy and his death, twenty years of incessantly increasing greatness elevating him to omnipotence, above which there is no one but God.